The lovely medieval church of St Andrew in Miserden, Gloucestershire, stands in a picture perfect estate village, close to the historic manor of Misarden Park (yes, the difference in spelling between the village and the manor is correct!). 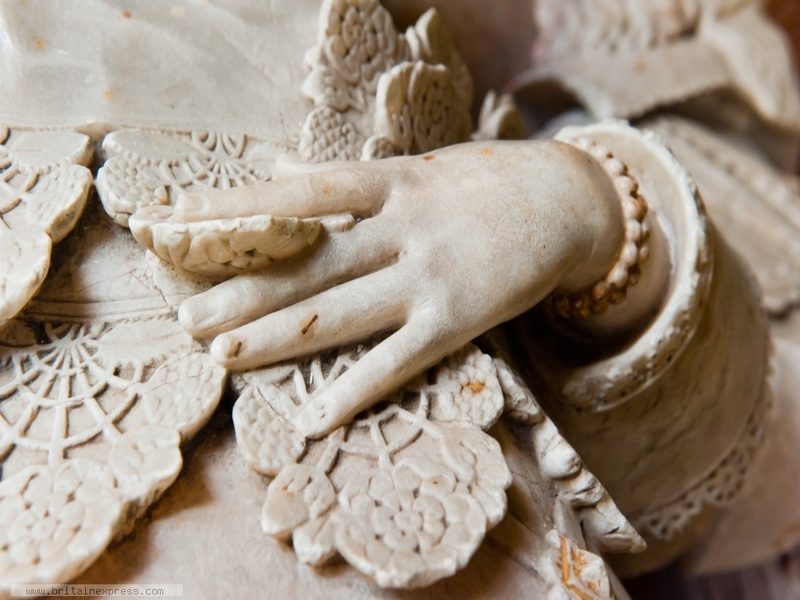 Within the church are several interesting memorials, including an alabaster altar tomb to Sir William Sandys and his wife Margaret (d. 1641 and 1644 respectively). This photo shows a detail of the effigy to Lady Margaret, as her beautifully carved hand clasps part of her costume.